Two Matt Damon fans who ran into Mark Wahlberg recently mistook the former for the latter, and good-sport Wahlberg was kind enough to take a picture with them anyway while pretending to be Damon. 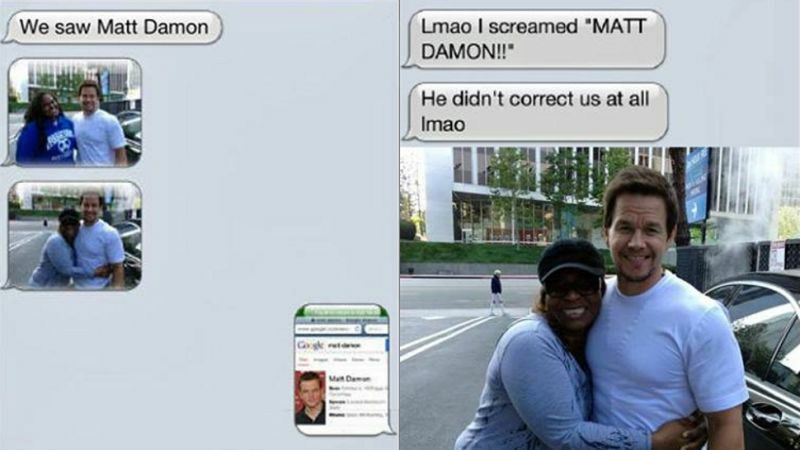 Later, one of the two women informed a third party by text about meeting "Matt Damon," to which the friend responded with a Google screenshot of what the real Matt Damon looks like. "Lmao I screamed 'MATT DAMON!!' He didn't correct us at all lmao," responded the Damon groupie. 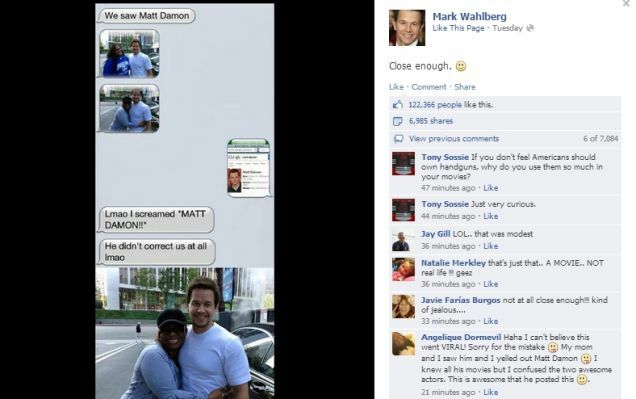 The entire exchange was ultimately uploaded online, eventually reaching Wahlberg, who posted it on his Facebook page along with the caption "close enough." After all, they're both from Boston (Damon's technically from Cambridge, but, well, close enough). "Sorry for the mistake," Angelique Dormevil wrote on Wahlberg's post. 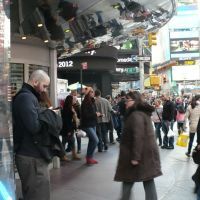 "My mom and I saw him and I yelled out Matt Damon. I knew all his movies but I confused the two awesome actors." I went many many years without realizing that Danny DeVito and Joe Pesci were actually two different people, until I saw them both appear as guests on the same talk show.